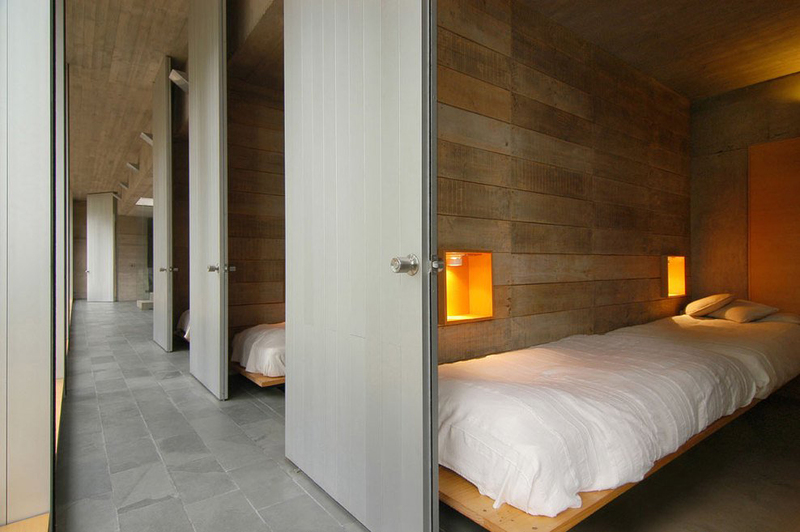 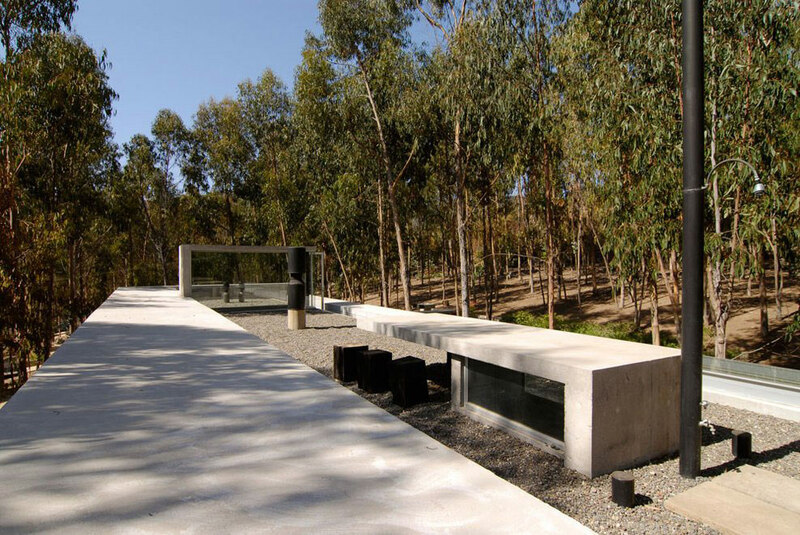 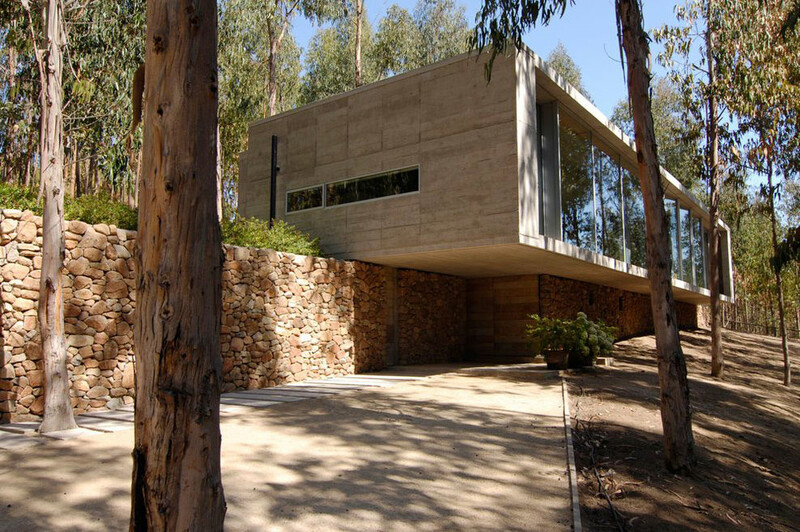 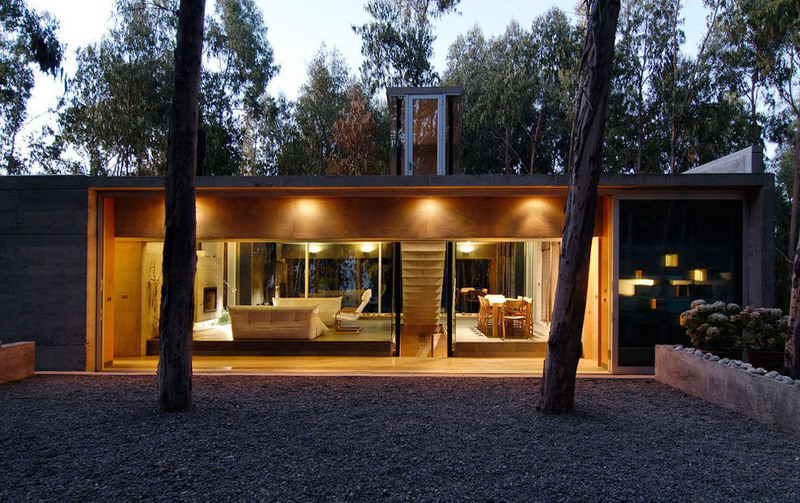 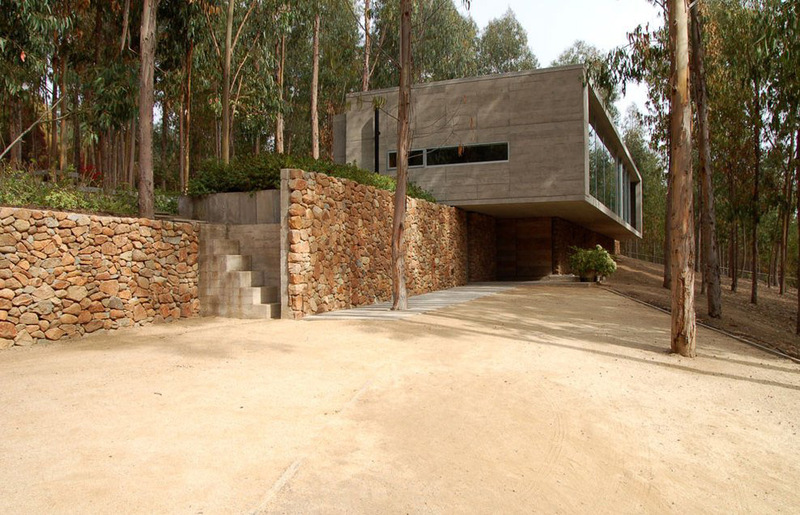 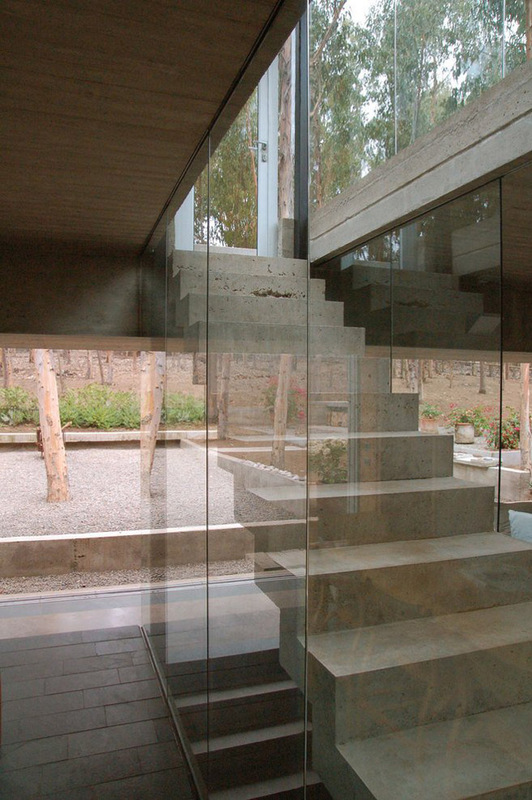 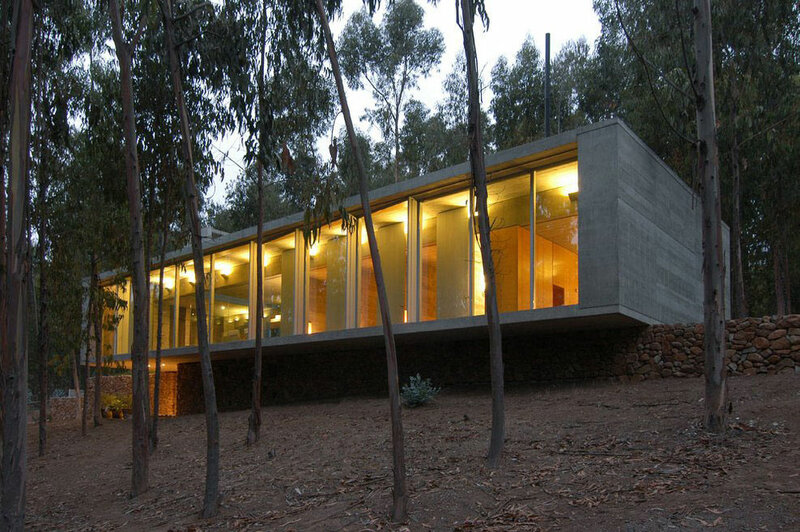 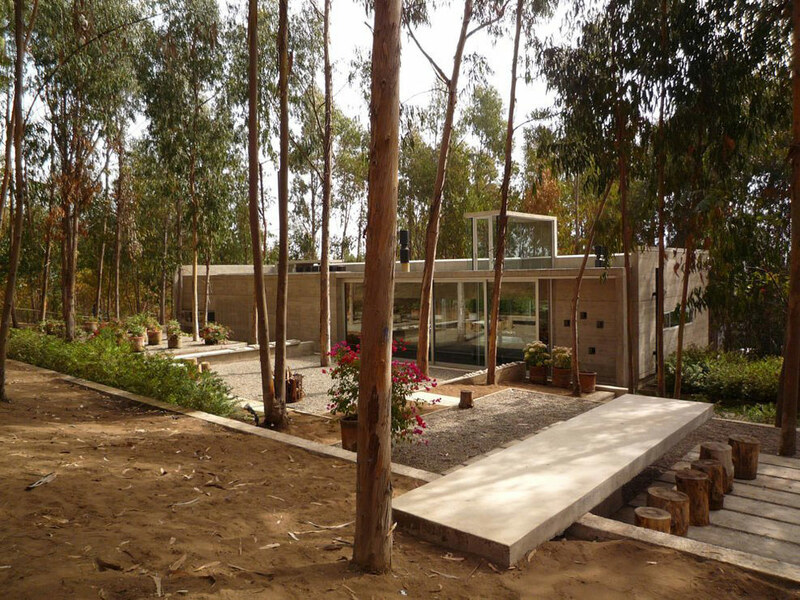 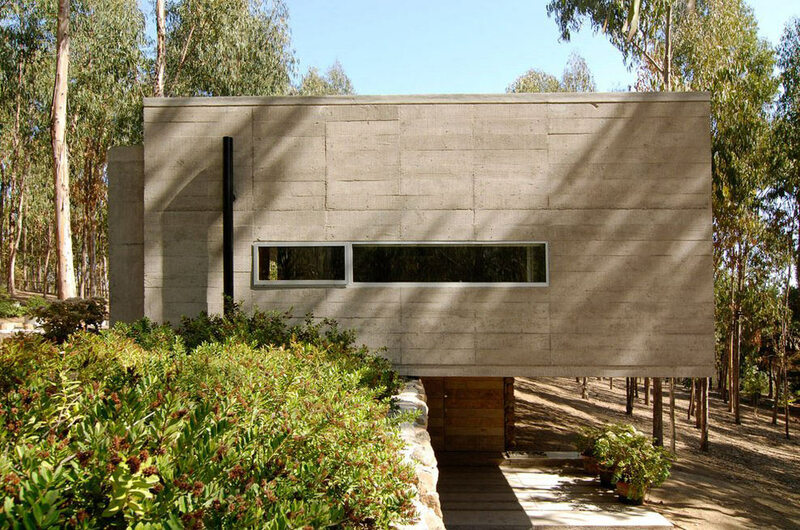 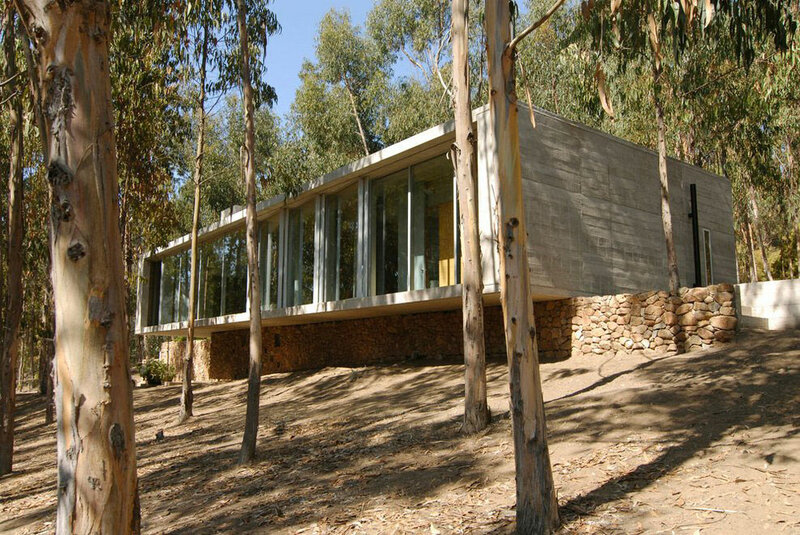 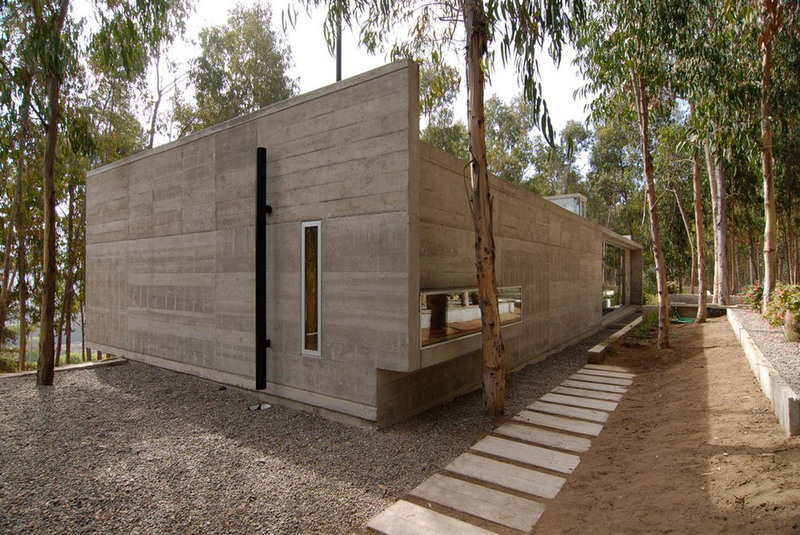 Omnibus House was completed in 2003 by the Santiago based studio Gubbins Arquitectos. 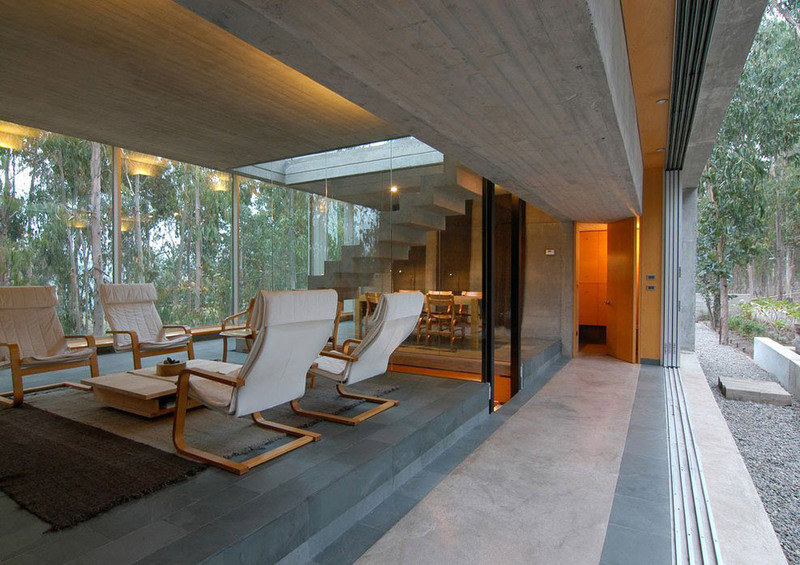 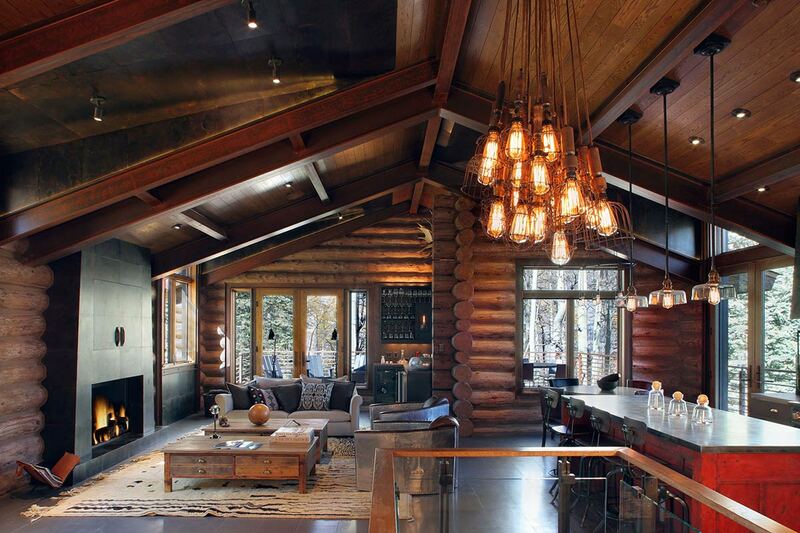 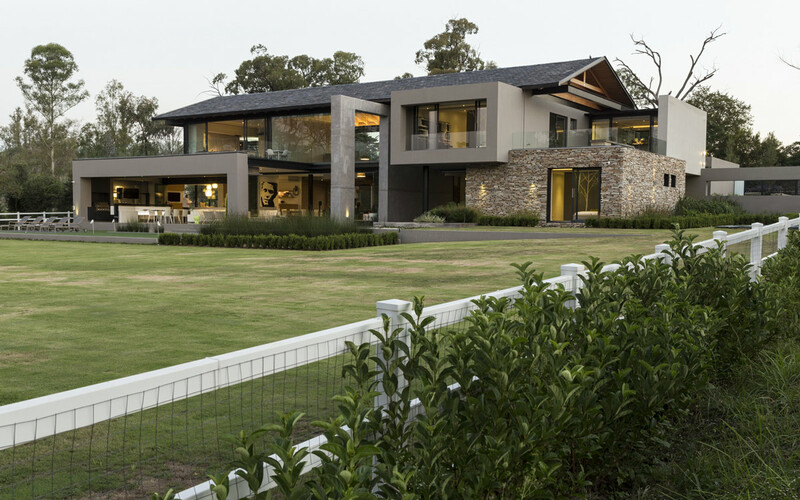 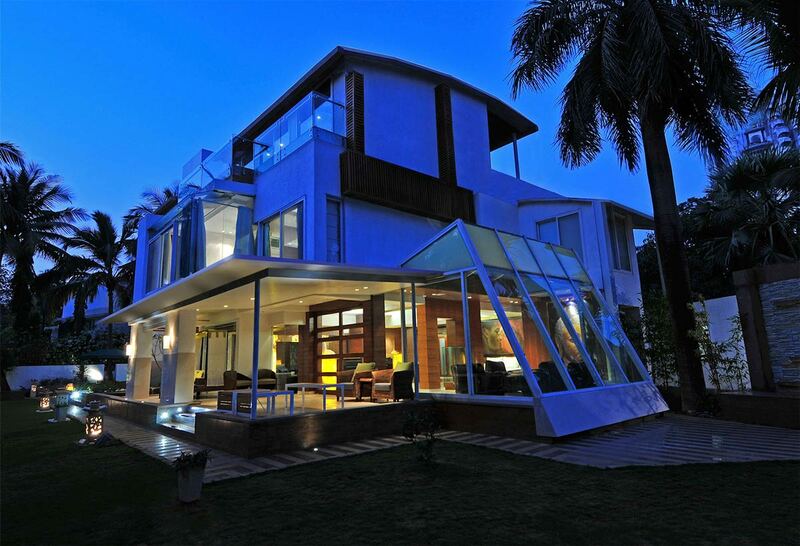 This striking contemporary holiday home is set in an idyllic forest area. 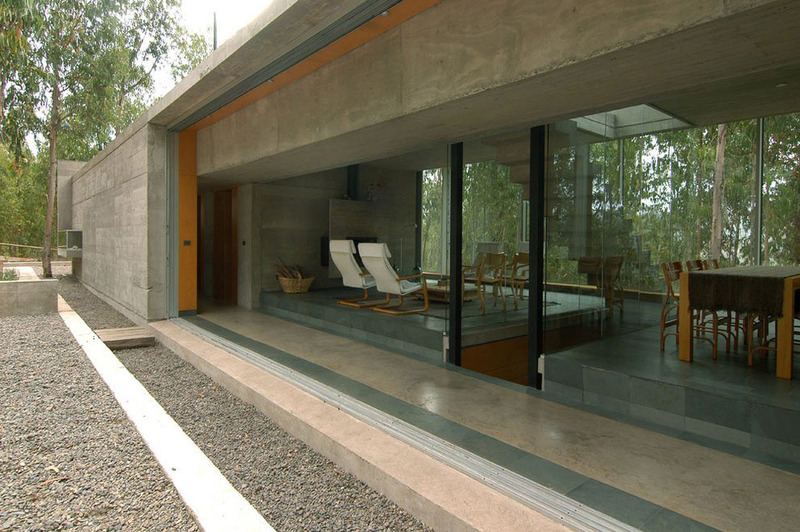 Main construction materials include concrete and glass, large sliding doors provide seamless interaction between the inside and outside spaces. 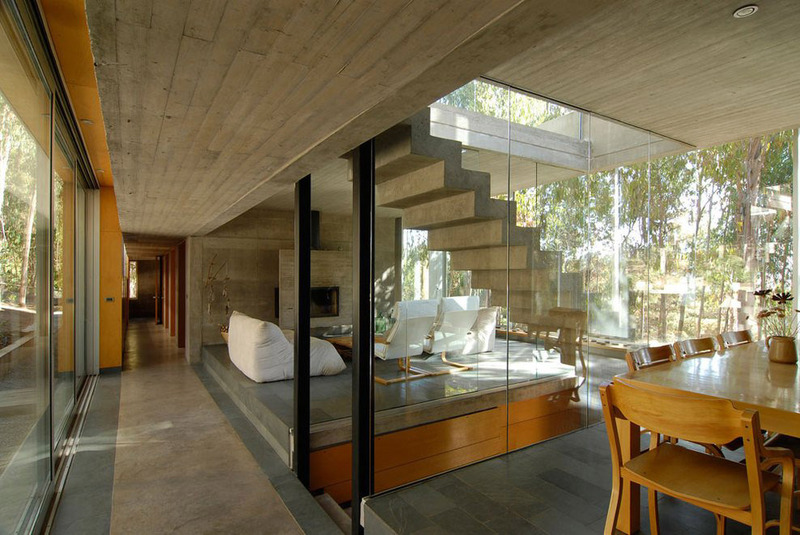 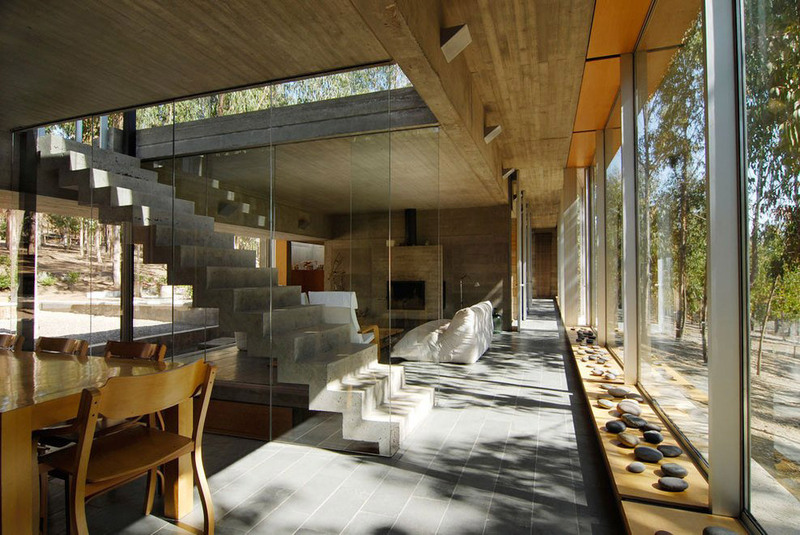 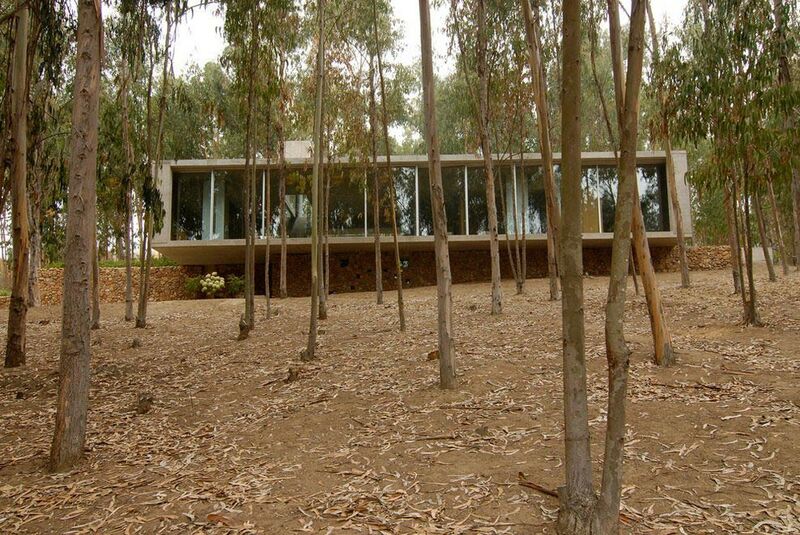 The Omnibus House is located in Cachagua, Chile. 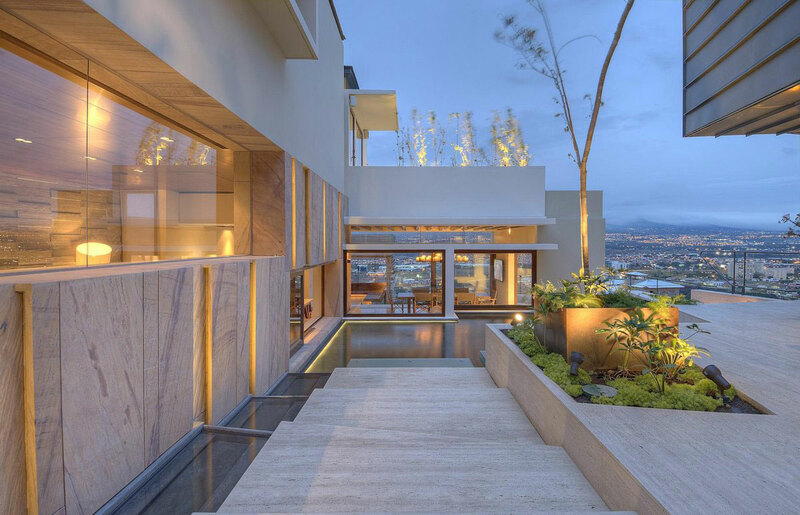 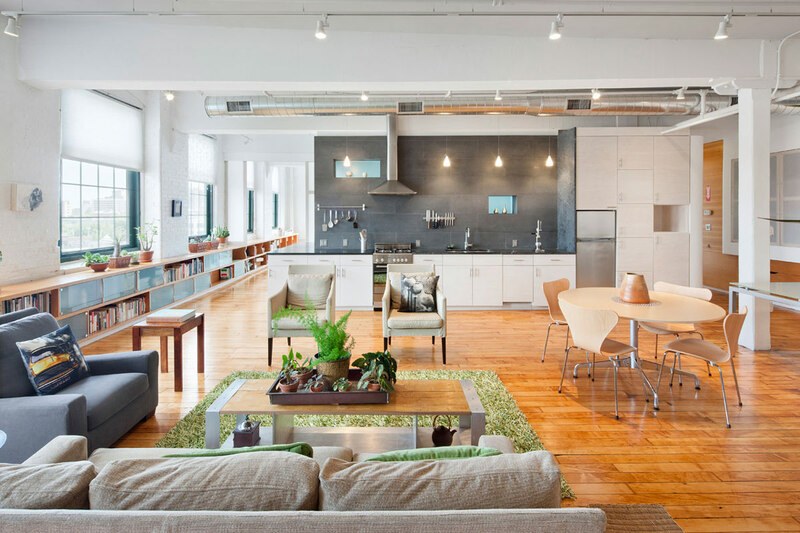 “To break the typical areas of an urban house; kitchen, living–dining room and dormitories, this house has a double circulation that deconstructs these areas into a set of complimentary places. 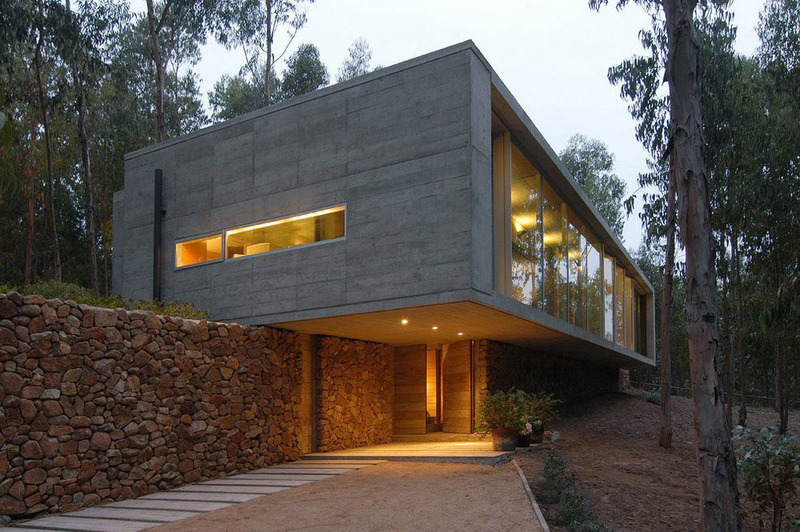 This creates a way of inhabiting that moves away from a typical urban arrangement into a more playful one. 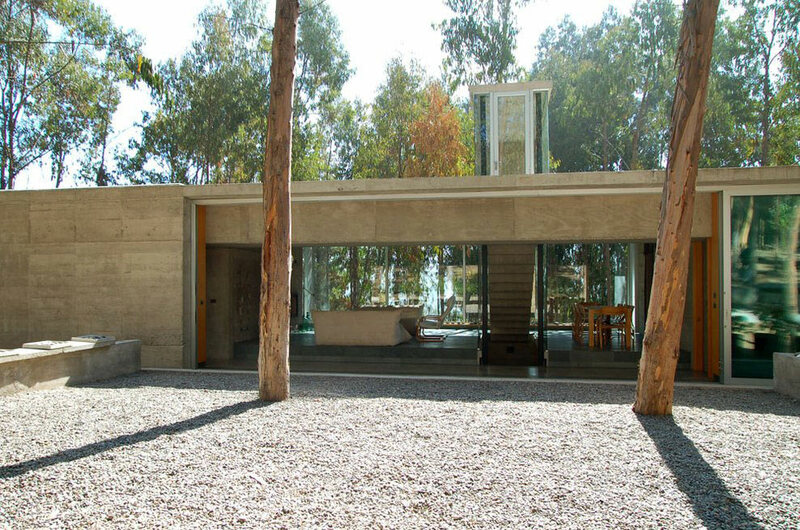 To inhabit the exterior of a holiday house does not only imply the direct interaction with the outside of the house, but also the interaction through the house. 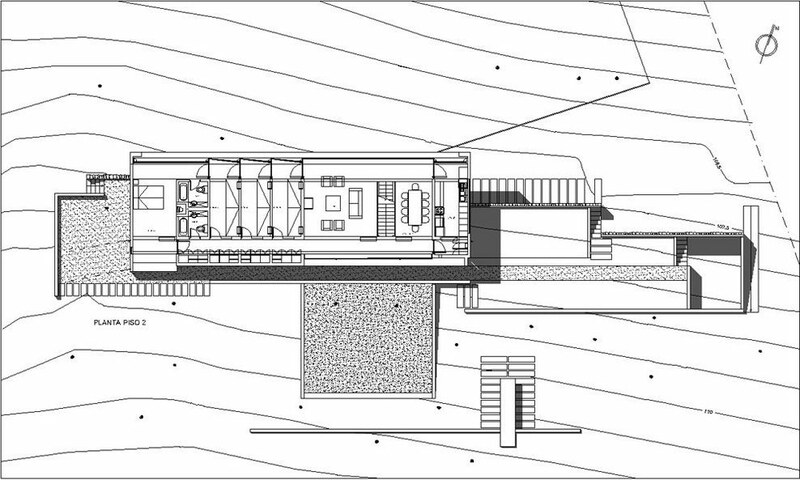 This has been achieved through its own structure and arrangement, allowing the possibility of re-discovering new views from the terrace-roof; from the back terrace through the living room, from the corridor or galleria by the main façade or sheltered along the houses stone base. 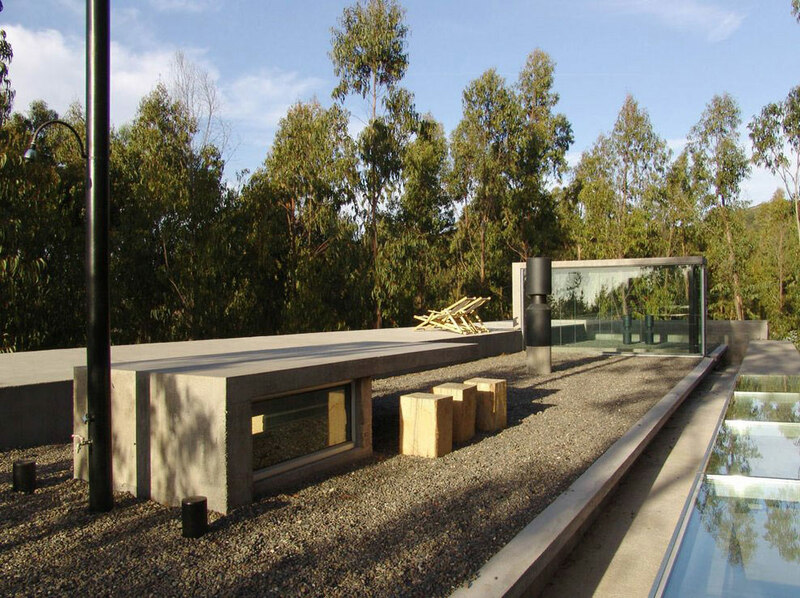 The north orientation of the houses main façade (23.5 meters width by 3.1 meters height) offers the possibility of becoming a large solar collector that at night time re-emits the accumulated thermal energy gathered during the day, by its walls, concrete slabs and roof.